The Society’s investigations have borne fruit, but they’ve also awakened a terrible foe. To avert disaster, the PCs embark for the lawless frontier harbor of Port Eclipse, where one of the Society’s allies disappeared while seeking a powerful weapon. In this shadowy urban landscape, it’s up to the PCs to find the lost operative, track down this relic, and bring it to bear against the ancient evil that now threatens them all. 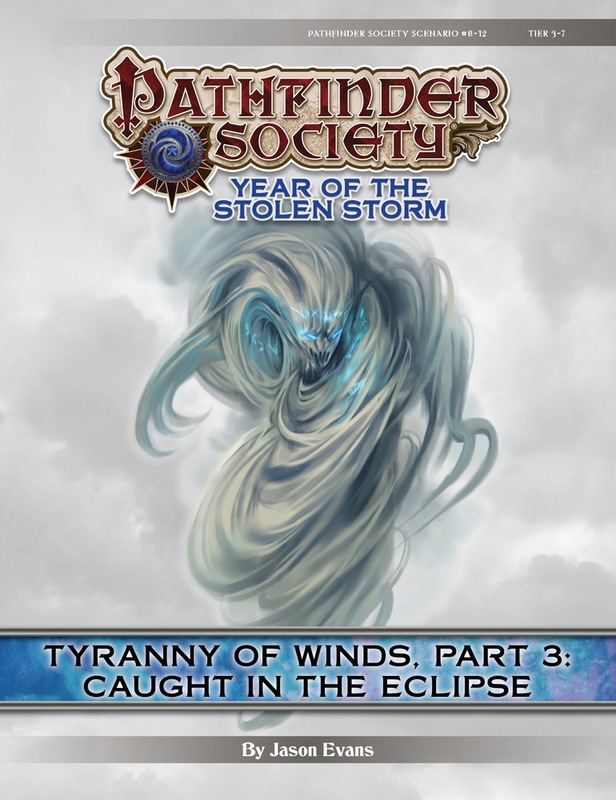 Content in Caught in the Eclipse also contributes directly to the ongoing storyline of the Grand Lodge faction.